Are you visiting Nashville as a small group or couple? Can't find an open private tour on a particular day you need? Have a small group but dont want to rent the entire party bus? The Nashville Party Bus public booking allows you and your crew to book a single seat or multiple single seats vs. Renting the entire party bus. The small public party bus rental, or per seat booking, is the perfect solution for small group party sizes 2-10 people. If your crew wants a private tour but they are all sold out for a particular day, you have the option of booking all the seats on a public tour if available. Simply put, our Nashville party buses are truly a one-of-kind experience for you or your small group. Each party bus is a custom built, open-air mobile Honky Tonk bar. Equipped with 40+ speakers, you are bathed with as our VIP bartender serves up your favorite drinks and your favorite songs. Your party bus can be best described as a uniquely Nashville experience with a Mardi Gras like flair. We only have a few people in our crew, will be be able to book? Do you have a small party of friends but don’t want to rent the entire bus? No problem! The Nashville party bus public booking option allows you and your friends to book per seat, vs. renting the entire bus. The Nashville public party bus option is perfect for group sizes 2-10. What's the minimum number of people for a party bus to perform a tour? While a public tour is not always guaranteed, we require a minimum of 6 people to perform a public tour. We occasionally will move smaller groups into different time slots to ensure we met the threshold of guest while maximizing the fun. If a tour doesn’t have enough people to perform a tour, will our money be 100% refunded? Yes, if we can’t perform a public tour for any reason, you will be 100% refunded immediately. You can expect funds to be returned in tour bank account within 3 days. If we are a smaller public group do we get the full 2 hour tour with a VIP bartender? Yes, a public party bus is exactly the same in terms of experience, party route, length of tour time and still comes with a VIP bartender. Can we play our own music on a public tour? Yes! Even though we can't play your entire playlist due to respecting the other groups on the bus, we can take your requests. Just talk to your VIP bartender for your favorite song requests. If you have any further questions please refer to our awesome FAQ page. New Nashville is full of different party tour offerings for your small group. They all claim they are the “best.” But are they? A large majority of these party tours only allow you to sit or stay stationary during their “party” tour. Why not just sit at a bar then? And those with a dedicated bartender that allow dancing don’t have the ability to go thru the hot areas of Nashville like we can. Worse yet, the vast majority of the other party tours in Nashville don’t offer you a full two-hour tour but yet, charge the same or higher price as our party bus service. Do you want to pay more for less? Of not! BOOK WITH THE BEST, BECAUSE YOU DESERVE THE BEST! "The Honky Tonk Party Express was THE highlight of our Nashville trip. There were 8 of us on a girls trip and we had an absolute blast! The music, the excellent customer service, and our A-mazing bartender gave us an experience we will always talk about. Thank you for a great time! Definitely, recommend to any girl big or small!!" "We booked the Honky Tonk Party Express for a friend’s small birthday get together in Nashville. We didn’t know what to expect when our buddy booked this bus. But WOW!. It was single-handedly one of the most fun things we did all weekend in Nashville. Every single one of guys raved about all weekend. Not only did we get paired with an awesome group of girls from Ohio, but we danced our butts off for 2 straight hours. We were 10 guys who thought this was going to be lame. No way! We are definitely doing this next time we come to Nashville. Book this party bus today." "Perfect way to celebrate! Long story short, my wife and I came to Nashville for Pink concert. We wanted a fun pre-game before the show. We decided to book the Honky Tonk Party Express bus. So glad we did this! The booking was easy, we were paired with other folks who were also. going to show. (They became new friends for the weekend) And we got to see stuff that wasn’t just downtown. It made our night so much more fun. So glad we booked this bus. Would recommend 10/10 times." DON’T HESITATE TO RESERVE YOUR TOUR! WE BOOK MONTHS IN ADVANCE. If your small group is ready to book Nashville’s most outrageously fun party bus that will create an great memory for years to come, then click ”book now.” Next, simply pick out your date and time and reserve your tour. Once you have booked, you will receive a confirmation email confirming your tour date and time. A simple waiver link will also be attached to your confirmation email. Be sure everyone signs the online waiver. Full payment is required to book your party tour. Once you have reserved your Nashville party bus, you will have up to 7 days before your tour, to cancel your reservation for any reason whatsoever with a 100% refund guaranteed. Your refund usually takes 3 business days to show in your account. We make it easy for you to book with very little risk if you need to cancel. 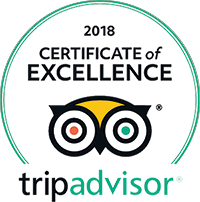 That's one reason why we were awarded Tripadvisor’s top tier award, the Service of Excellence Award.